Many of the widely read articles in popular media or financial industry publications that discuss alternate divorce resolution strategies1 focus primarily on the limitations of each of these methods. The articles are often written by attorneys and so the focus on disparagement might be considered to be unbalanced or self-serving for the profession. Certainly it is smart to be aware of what can go wrong with any financial or legal planning strategies. Yet the tendency to focus only on the limitations seems primarily designed to discourage couples from considering all of the available options. With traditional divorce costs now at $10,000 to $75,000 per spouse in typical middle income households, there is a large need for cheaper and faster methods of uncoupling. While it is true that these strategies present legal and financial risks, traditional divorce process may hold the same or even greater risks. We should not accept the premise (often the undertone of other articles) that a poorly handled alternate divorce is always inferior to a well-done professionally handled divorce. It is a major mistake to simply assume that an attorney will ultimately achieve a better resolution than you could manage on your own. Stated another way, it might be better to live with your own mistakes and financial or legal shortcomings than your attorney’s. The smarter approach is to consider the overall cost/benefit possibilities of each approach to divorce. This article is intended to help present an alternate point of view and help “level the playing field” for individuals considering their divorce strategies by debunking some of the common beliefs about limitations of peaceful divorce. 1. You need a lawyer. Plenty of real couples go through divorces without an attorney, so the assumption that it is not possible is simply incorrect. Obviously some marriages are easier to dissolve than others. Marriages without children, shared assets or retirement plans are more likely to be handled without an attorney. Some people are more likely than others to be able to handle the intellectual and emotional demands that are required in handling your own divorce. Second marriages might be more likely to fit this profile for a potentially successful self-negotiated divorce. A peaceful divorce is most likely to be successful when: 1) each spouse has agreed to remain non-confrontational, 2) the individuals are financially and emotionally stable without the other spouse, 3) the couple has agreed to let one spouse prepare the simple divorce paperwork, and 4) family members are kept out of the process. Some couples handle the divorce entirely by themselves using the array of resources online. They typically rely on non-attorney advisers2 or sometimes just a close friend for emotional support and guidance. A level-headed friend can act as a “reality check” to see if the process is getting out of control. An individual who negotiates his/her own divorce may be advised to have an attorney review the proposed divorce settlement before signing. This may be a wise legal move but, in my experience, is likely to be a negative emotional experience. A spouse who was initially satisfied with the proposed divorce is likely to be dissatisfied after speaking to an attorney. Attempting to renegotiate by saying “my attorney said…” is unlikely to be a successful strategy. This may force an awkward choice: ignore the advice of the attorney by accepting the proposed divorce or abandoning the self-negotiated divorce process and resorting to a traditional process. Either option may be less satisfying in the end than agreeing to a divorce that was negotiated and agreed between the spouses. 2. Using an arbitrator means both parties must accept the decision of the arbitrator. Actually, non-binding arbitration by a third party is perhaps the most effective way to resolve disputes without pressure. A neutral third party comes to an opinion on the issue of dispute and then tries to “sell” that opinion to each of the spouses. Procedurally this can be more effective because a well-informed neutral person can be far more convincing in communicating a fair proposed solution in a one-on-one setting than in a joint meeting. Only after both parties agree to the does this proposed solution become legally binding. The primary advantage is that this process is time effective and cost-effective because it removes the emotional parties and the legal system from the process. 3. Mediation is “all or none”. Any single issue can be isolated and handled through arbitration. Alternately, a couple can agree to isolate one or more issues to be handled by the court system while handling other issues on their own. Some women, for example, decide to handle child support through the court system and mediate the property settlement, child visitation and other issues. In many cases this is faster, cheaper and more effective than mediating all issues or deferring to the court system to resolve all the issues. 4. Arbitration is “all or none”. The same concept applies as in #3 above. Arbitration can be most effective when limited to those issues that cannot be resolved by other methods. Consider separating the issues of disagreement from the issues already agreed. Bring only those issues not agreed to an arbitrator or mediator to improve efficiency of the process. 5. Resolution takes __ hours or costs $__ dollars. Again, it is totally up to the couple making the decisions. The only requires cost is the cost of filing legal documents in your county. This is usually a few hundred dollars. Everything else is negotiable. I’ve worked on cases where the divorce agreement was stated in one or two sentences between the parties from the very beginning and the actual execution of transactions and details were effectively handled mostly by a third party representatives who focused on executing that simple agreement. 6. Legal filings must be done in a specific order or after an agreement is reached. Legal paperwork in a divorce usually files a common order dictated by case work flow, but it is usually not necessary to follow this order. Some child support orders, for example, are entered while a family is still living together sharing finances. Some court filings are possible even while mediation continues in other issues. The timing of legal filings can be a financially critical issue that should not be dependent on the dispute resolution process. 7. Collaborative divorce always uses attorneys. As a practical matter, most collaborative law services are offered by attorneys. But some collaborative law processes, especially in a religious setting, do not use or require an attorney. Unfortunately there still seems to be a shortage of good collaborative divorce attorneys practicing in many locations. But if you are able to find a good collaborative divorce attorney, consider this a blessing and use the attorney. 8. Mediation, arbitration and collaboration are always an option. In some cases, the resources available within a community will define the alternative divorce procedures that are practical. Some communities simply do not have adequate resources to support alternative divorce procedures. While the number of mediators, arbitrators, collaborative law centers, self-serve Web sites and marital councilors or financial advisers who specialize in this area of practice is growing, relatively few are available now. A couple that might be best served by a non-attorney mediator to resolve a few specific financial issues about the house and retirement plan, for example, may find no qualified financial adviser available in their community. In this case, an attorney who is well qualified in collaborative divorce but less knowledgeable in tax implications or a settlement might still be the best resource. Consider both the specific issues as well as the resources available when choosing a peaceful divorce strategy. When a divorcing couple can resolve most of their issues outside the court system, it makes no sense to allow myths about limitations of the resolution process to hinder progress toward a peaceful divorce. An simple but effective 3-step approach for getting stated is to: 1) identify and agree on the list of issues on which you already agree, 2) identify and agree on the list of issues you disagree, and 3) agree on a procedure to try next to resolve the remaining issues. The ultimate goal of the couple is to resolve their marital issues at the lowest financial and emotional cost and allow each spouse to move ahead with life as soon as possible. The alternative – the typical traditional “default” approach – is to spend tens of thousands of dollars in the legal system over a period of several years while the lives of both spouses are put on hold. Considered in this context, it seems that a full exploration of peaceful divorce alternatives is almost always worth an extra effort. 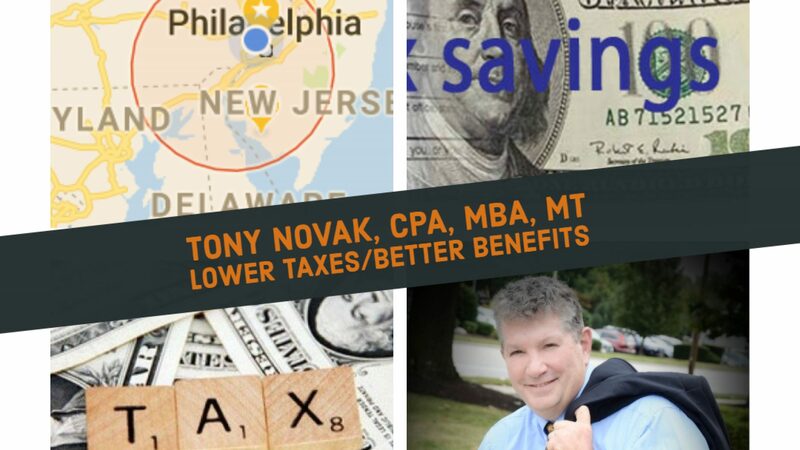 About the Adviser – Tony Novak, CPA, MBA, MT, has over 25 years experience as an independent financial adviser and is a UAHC-trained volunteer couples group discussion leader, college instructor in financial planning, accredited instructor for continuing education for accountants, attorneys and financial advisers, and one of eight advisers selected by the publishers of Financial Planning as moderator of the largest national online forum for financial advisers. Perhaps more important than professional credentials, Novak’s former life partner is a collaborative divorce attorney. This relationship ended amicably and successfully in 2004. He is now remarried and making it work for the past nine year through often difficult financial circumstances. Novak’s articles on personal financial planning strategies appear in dozens of magazines and newspapers. 1 I prefer to use the term “peaceful divorce” or “collaborative divorce” as a synonym to “alternative divorce” because it communicates the intended desirable characteristic of the strategy that serves, in my experience, as a “mood setter” for the accompanying discussion. Collaborative law practitioners tend to use the term “peaceful divorce” while traditional marital attorneys tend to use “alternative divorce”. It seems that the term “collaborative divorce” has gained acceptance in recent years. The choice of term may be characterized as “spin” since there is no assurance that one strategy will actually be more peaceful than the other. 2 Certified Public Accountants may be restricted in the services they can provide to both parties in a divorce by professional ethics standards.